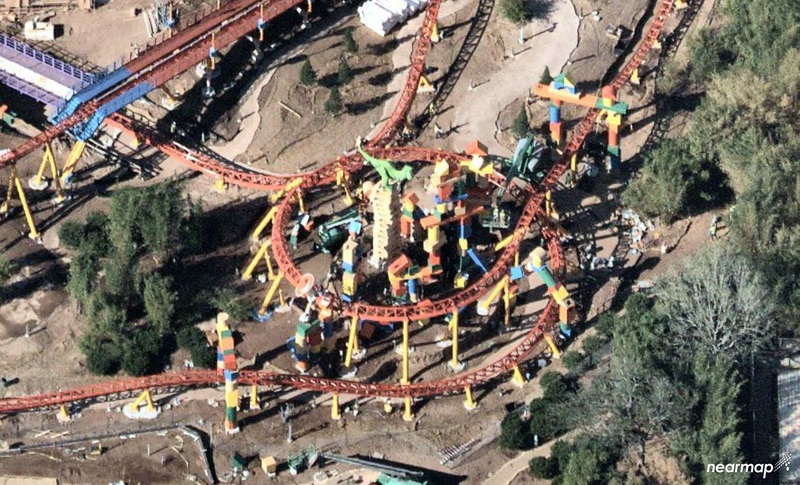 We’re back with some more aerial imagery from Nearmap, this time of Toy Story Land. 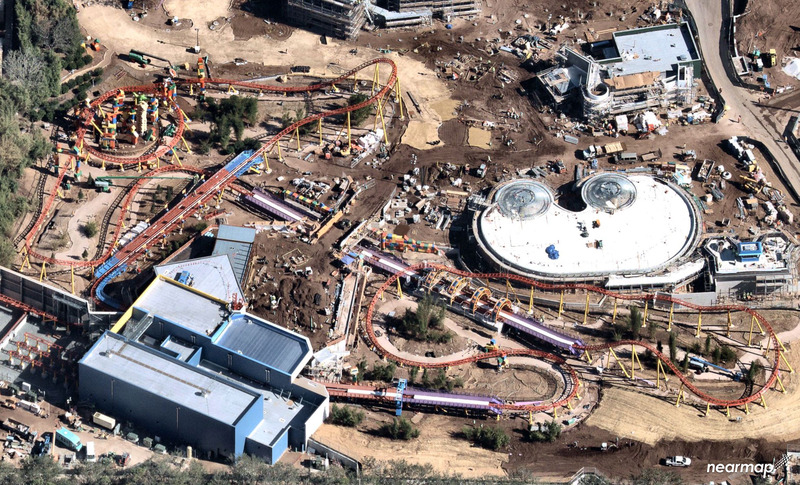 One of the coolest shots is this overview. 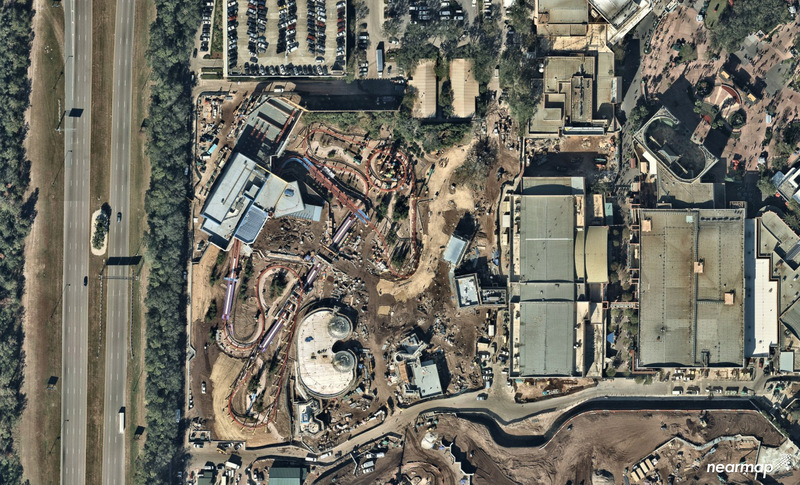 In it, you can see the full footprint of the land as it relates to the rest of Disney’s Hollywood Studios. 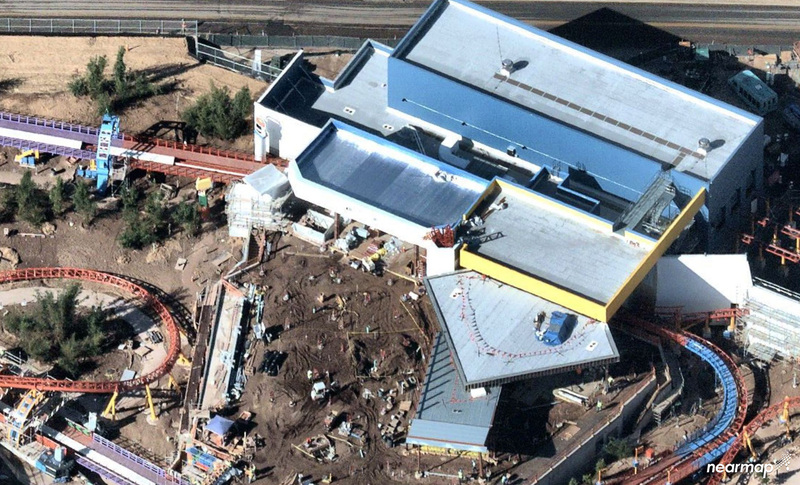 The two large buildings on the right are Toy Story Mania and the show building for Mickey and Minnie’s Runaway Railway. 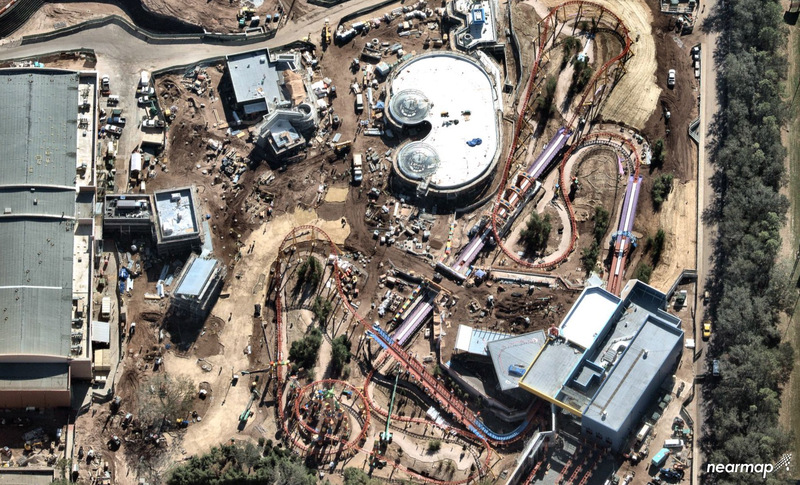 Moving on, let’s get a few birds-eye overviews of the land. 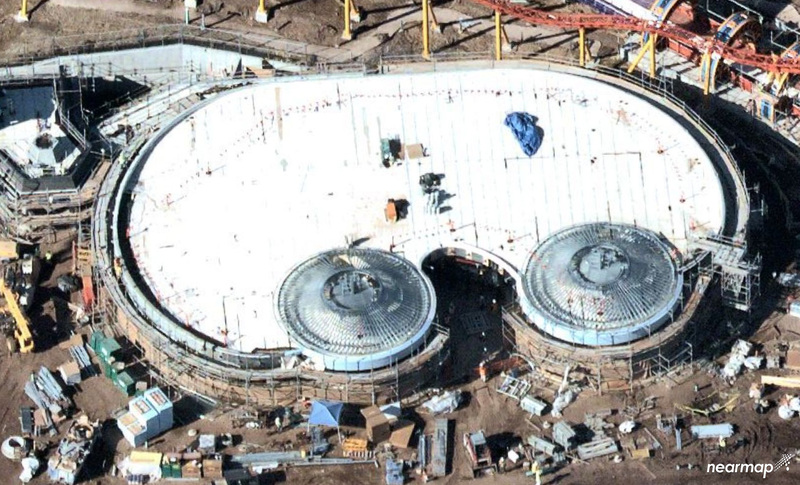 A closer look at the Alien Swirling Saucers attraction shows a fully enclosed building, with some facade theming in place. 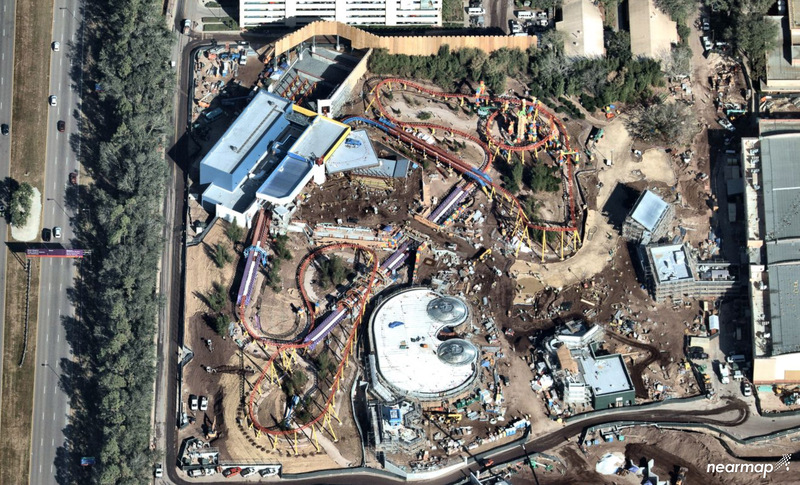 A closer look at the building that houses the queue and load area for Slinky Dog Dash. A little bit tougher to make out are the Jessie and Rex life-size toys that are near the Slinky Dog Dash track. 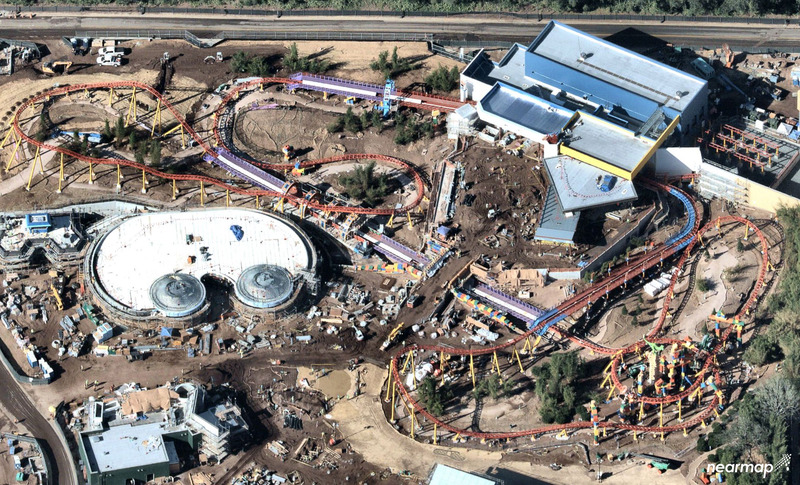 Toy Story Land opens this Summer at Disney’s Hollywood Studios.